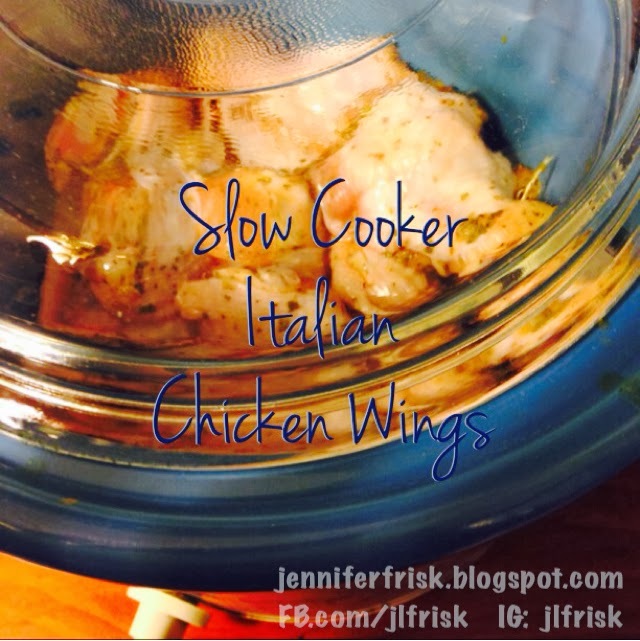 So, it's STILL ffffrrreeeeeezzzzzing in PA, and I am still on a slow cooker kick! Seriously, God, you can cut the snow! We've had enough! Brr....do yourself a favor and throw these in the crock pot, bury yourself under a blanket, and hibernate for awhile. Oh, wait, maybe that's just what I'm doing. hehe. Combine all ingredients large Ziploc bag. Shake well until all wings are coated evenly. Transfer wings to slow cooker.